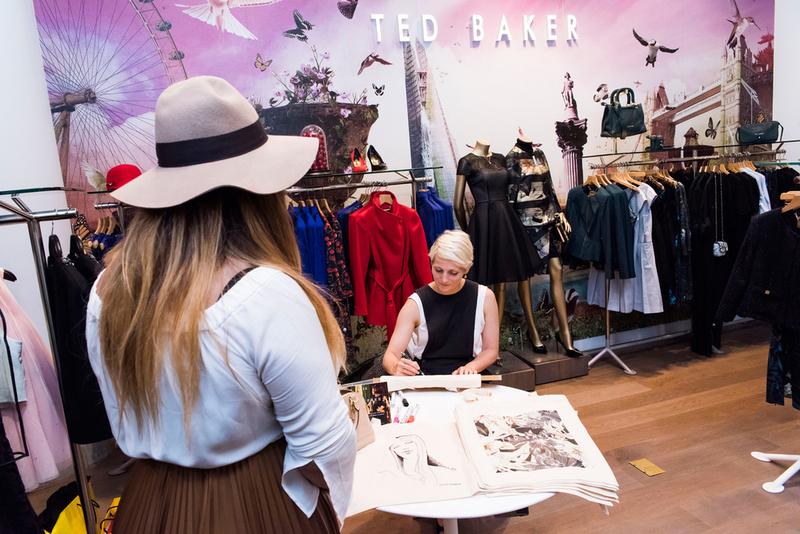 A couple of weeks ago I was with the fabulous team at Ted Baker. We were celebrating the launch of their new exclusive range for Selfridges by offering personalised tote bags for customers. I was in-store at Selfridges for two days drawing portraits. It was a challenge, since I had to work using fabric pens - meaning that I had to change my style a little to meet the brief. Plus, fabric pens are pretty dry and don't glide very easily over canvas. Not my ideal drawing tool, but a really ingenious use of live drawing.